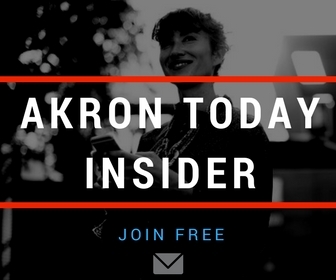 Whether your children are in the Hudson School District or the Akron School District, Middle School is a difficult time for kids because it is a big adjustment. The grammar stage of the elementary school child begins to give way to the logic stage of their learning by the middle school years. Your child cannot be satisfied with parroting facts and figures anymore without questioning the logic behind it. These are very fun years as parents, because our children are beginning to question our knowledge and our answers to the questions they ask. Taking that into consideration, they still need our help in school, and will seek help from us and from teachers alike. What can you do at this stage to help them prepare for high school and beyond? Here is a list to help your middle schooler achieve her/his potential. Make sure they have a place to study, keep materials handy, and have a comfortable chair and lighting available to them. Some children prefer having a quiet space, while others do not mind doing their homework on the kitchen’s table. Ask them their preference. Labeled folders for all their classes where they can keep materials organized is imperative. Homework,handouts, and quizzes and tests should be kept in that folder. They can use them as study guides later in the year. Time management. If they have a 10 page paper to write and is due in three weeks, what can they do? Ask them and make sure they do a bit every day. It will ensure that the paper will be done and ready by the time is due. Begin by taking a trip to the library to check out books to research the topic, ask them to read about it, and then to begin writing an outline. A bit of writing every day will make it easier and less daunting for them, and perhaps they will start understanding the power of preparation. Regardless of what their assignment is for the day, ask them to read. Remember that the more they read, the more they know. I hope this list gives you, and your child a starting point to develop better skills to succeed in their middle schools years and beyond.